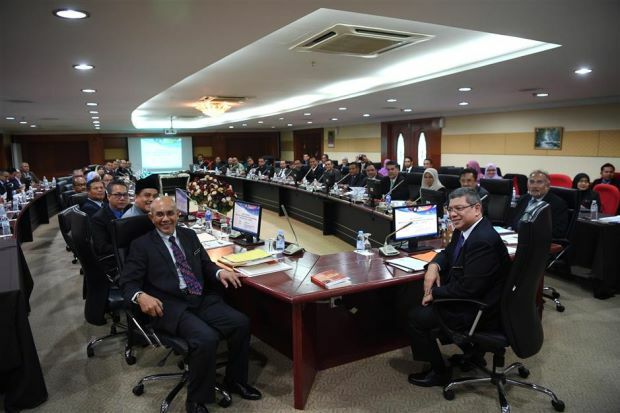 Saifuddin (front, right) and Dr Sallehuddin (front, left) at the Pahang Action Council meeting. Kuantan – The government will give top priority to efforts to bring back all 47 Malaysians detained in Poi Pet, Cambodia, immediately and safely, says Foreign Minister Datuk Saifuddin Abdullah. 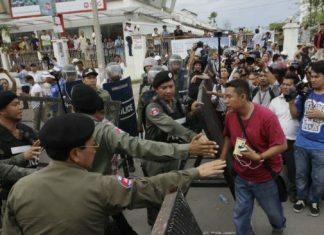 He said that to date, the Cambodian government had been cooperative, even allowing officials from the Malaysian Embassy in Phnom Penh to visit the 47 people detained since Dec 11 last year.